Ip Man is to 2005-2015 that Wong Fei-Hung was to the 90’s. It seems like every year there is a new Ip Man movie coming out. The Legend is Born: Ip Man by Herman Yau is often confused with Wilson Yip’s Ip Man which stars Donnie Yen. The confusion can be forgiven as both films do star some of the same actors such as Sammo Hung, Louis Fan, and Chen Zhihui. What really makes this film special is that Ip Chun the real life son of Ip Man stars as Leung Bik. The Legend is Born: Ip Man takes a lot of liberties with the life of real life Wing Chun Grandmasters life. However the entire bit between Ip Man and Leung Bik is supposedly true. Like most Chinese films that take place in the early 1900’s the Japanese and Westerners are the bad guys, and probably with good cause although many things are exaggerated for cinematic affect. 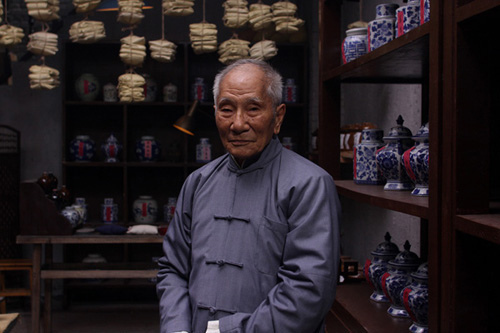 The movie focuses on Ip Man’s early life before he moved to Hong Kong to set up a school for Wing Chun were he will eventually teach his last student, Bruce Lee. Overall the film is entertaining, the story was predictable but didn’t detract from my enjoyment, the sets and costumes were well done and the acting was good. It is currently available on DVD, Blu-ray and Netflix. Dennis To (Bodyguards and Assassins, Ip Man 2, Wu Dang) as Ip Man. 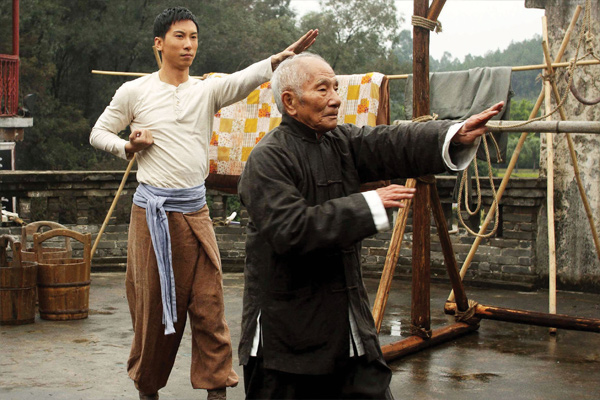 this was Dennis To’s first movie, he has been practicing Wushu since the age of six. Louis Fan (Ip Man 1 & 2, The Flying Swords of Dragon Gate, Kung Fu Jungle) as Ip Tin-chi Ip Man’s adopted brother. Louis Fan is the son of Shaw Brothers actor Fan Mei-sheng. Louis also stars in Ip Man 1 & 2 staring Donnie Yen which is not related to this movie. This entry was posted in Historical, Martial Arts and tagged Ip Man, Martial Arts, Sammo Hung, Wing Chun, Yuen Biao. Bookmark the permalink.